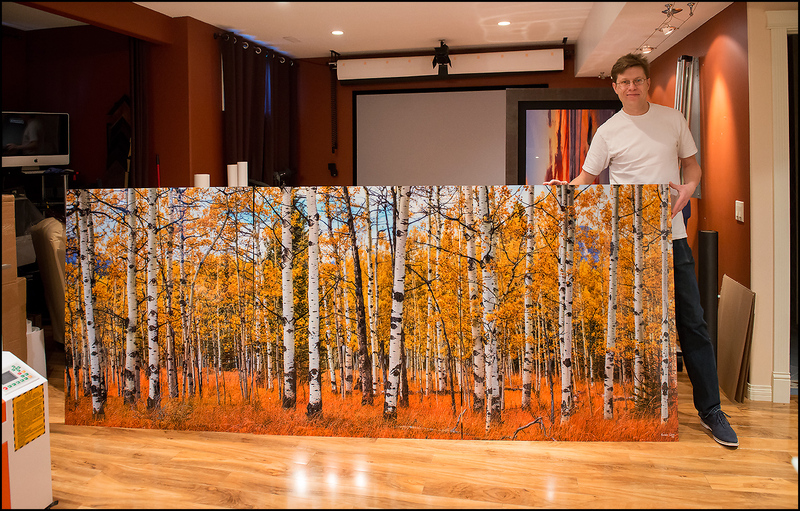 Customer asked for 130″ wide print. So I had to break it into 3 panels. Had to say I was surprised how nice it turned out. Was somewhat a trick to route edges of 3 panels simultaneously but finally all worked out fine.